Indeed, I've mentioned numerous times that some of the things we've been used to in the past ( BR, PUC etc) may now disappear from future products. Hope I'm wrong, or that some way through can be found for some kind of BR to be used in a hybrid (3rd party TV / B&O speakers) setup. But I'd start thinking about a world where such a setup would involve something different from the existing BR1. work in perfect harmony. Build, scale, mix, and match. With WiSA, the possibilities are endless. all the same, more WISA options in general isn't a bad thing....so i welcome it. Old to 'new' - Torsten Valeur B&O trying maybe to make a remote control for the new LG C9 WiSA television. ....and why should a 2019 LG tv need a new remote control just because it has support for WiSA as an option? 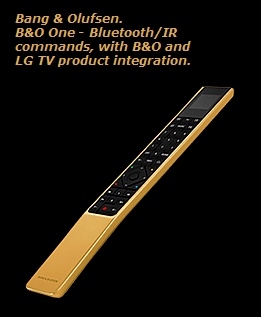 The main concern of Beo customers is not at being able to use a Bang & Olufsen remote control. the offer is there, the LG remote control may smoke in the drawer, and B&O sells a remote control. Sorry to say it - you are obviously not aware of what a BROne(bt) is capable of. What is the use of a B&O remote control, when there is nothing B&O to control with that LG tv? Millemissen Don't think we can still have B&O products after purchase of a LG C9 WiSA TV. Would you rather use 2 remote controls ?. It's not an Ellipse talked about. It's over with Eclipse when the last The LG C7 panel is away from the warehouse. I’m watching an Eclipse, which is essentially an LG tv, with a Bang and Olufsen speaker and processor, all controlled by the Beo one. If it had neither the speaker unit, or the remote it would obviously revert to its LG state, and I’d have to buy, position, fix a sound bar(nasty)and then juggle with half a dozen controls. 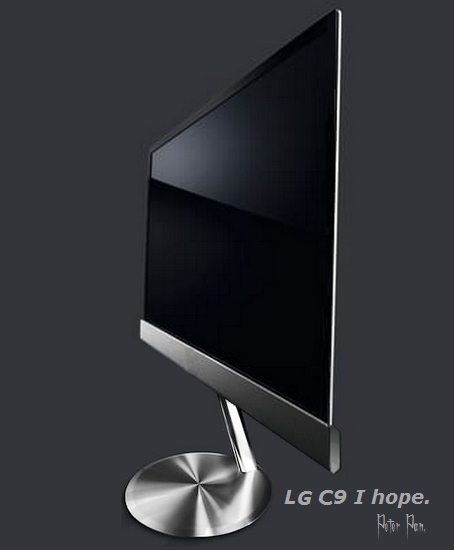 Millemissen Don't think we can still have B&O products after purchase of a LG C9 WiSA TV. Would you rather use 2 remote controls ?. It's not an Ellipse talked about. I like my Eclipse having WISA, but it wasn’t the primary reason. .... and it's only 2 grand! Hard pass, given the alternatives. But the broader point is correct, TV brands partnering with Meridian, B&W etc does make more mainstream TV brands a bit more attractive to some. Personally I don't love the aesthetics of TV and separate sound bar, but I guess I'm going to have to accept it when I next change things. Which at this rate won't be for a few years yet. The LG 2019 tv is an LG tv no matters if it is WiSA Ready or not. Personally I would not use WiSA for my speakers.anyway - the wires are already in place.....would you? And why the h*ck should I stop having B&O products just because of an LG tv? It is no secret that you don’t give a d*mn about NL or the post ML products. The thought of a WiSA Ready LG as the saviour for (former) B&O costumers is way out. It is just a tv like many other tv’s.